When I started reading England As You Like It, I was struck by how dated some of it is. 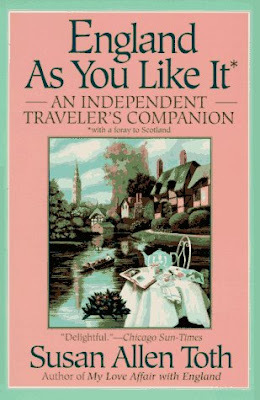 Written in 1995, the book tells you how to find information about a destination, and how to find good maps to buy - all with no reference to the internet. Searching for affordable souvenirs in England is not always easy. Friends and relatives often expect something, but what? ... A skirt length of Harris tweed or Scotch tartan might, for a cost-conscious tourist, involve giving up a long-awaited tea at the Dorchester. (And who do you know who wants a tartan skirt?) Most of the fairly inexpensive trinkets at street stands ... are either flimsy or gaudy, or both. For sheer uniqueness as an English souvenir, I did not think I could surpass a compact oval container of lovage and celandine deodorant. Update: Be sure to note the caution about prohibited items in the comments; not all items are acceptable for import to the U.S., and I imagine other countries have similar regulations. 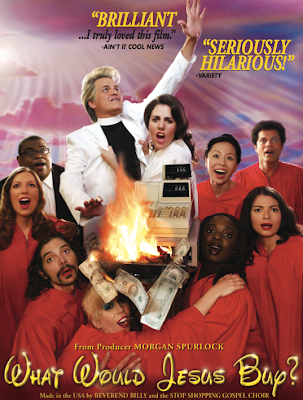 When Reverend Billy tells us to "stop shopping," he's just trying to get our attention; he really wants to be more conscious about our shopping. Having just watched his movie, What Would Jesus Buy, I can't really recommend it - even though I'm all in favor of his general message. But there were certainly some memorable portions. We've come around to school you. You don't need all that junk. We don't, we don't need so much junk. You can also see Billy buying a sweater - made in America - from a small independent store that's lost a lot of customers to Wal-Mart. How do workers live in Bangladesh, who are making Wal-Mart shirts - and they're getting paid 13 cents to 17 cents and hour? Well, those workers live in utter misery. Those wages translate into not being able to brush your teeth. They get up in the morning and brush their teeth with their finger, using ashes from the fire, because they can't afford a toothbrush. And there's a certain decency to the American people. When they stand face to face with a 13-year-old kid and that kid tells them she works seven days a week, and every other day they're working until 3 a.m. - they keep them on a 19 1/2 hour shift - she got 7 cents an hour to sew clothing for Wal-Mart. And when we were walking away from her she just blurted out "I feel like I'm dying - I'm so sick and exhausted." What Reverend Billy is really trying to do is educate us to make better shopping choices - in how much we buy, and what we buy, and where we buy it. (See the resource guide on the What Would Jesus Buy web site.) Maybe we can all be better consumers in the coming year. That would make Reverend Billy very happy. 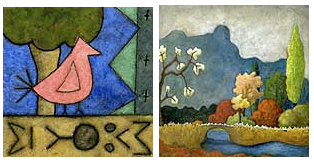 Carrie Crane has magnets which are reproductions of her paintings. 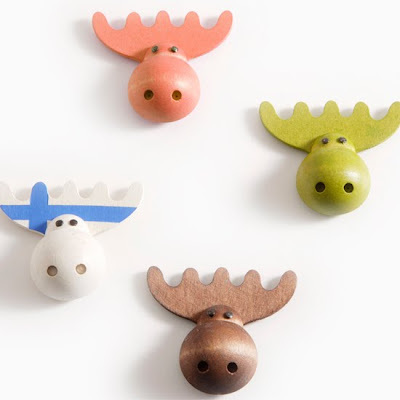 And these magnets from Finland are awfully cute. Update on August 16, 2011: These don't seem to be available any more. 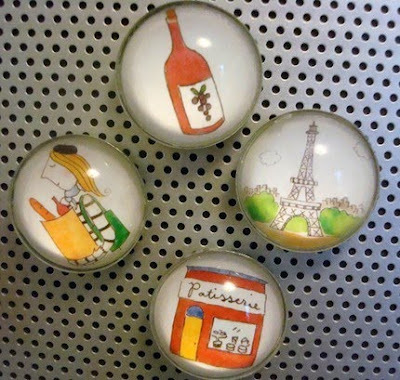 It's hard to pick just one magnet from Etsy seller Allison Strine. Certainly, not everyone on your gift list would be happy with a gift to a good cause - but still, one recent study reporting that ethical gifts might offend the recipients might be misleading. In that study, women got one of two gifts that they were told came from their husbands. Those who received a donation to Oxfam rather than a spa basket filled soaps and body creams were less than thrilled. (However, women who got the Oxfam gift from their children were not displeased.) Note that this study does nothing to refute the idea that a donation-type gift is a good idea for those you know less well than a close family member! You know, if someone gave me a basket of creams, I wouldn't be that happy, frankly. Yeah, I don't know. I mean as a recycler, I have a problem with the whole basket concept. You've got the plastic outside that I don't think it recycles. You've got the straw stuff that I don't know where the hell to put it, and you've got the basket. What do you do with the basket? Not to mention that I don't really want creams, but that's secondary. But you can reuse the basket! Reuse it for what? Tisketing? But don't you at least feel a certain satisfaction that you got the useless basket rather than some damn poor needy person? Yeah, you're absolutely right. Nothing would annoy a starving refugee more than a cream basket. If you want to hear the full story, you can download the December 19 episode of Wait, Wait, Don't Tell Me, for free, from the iTunes Store in the podcast section. It starts at about 8:17 into the show. 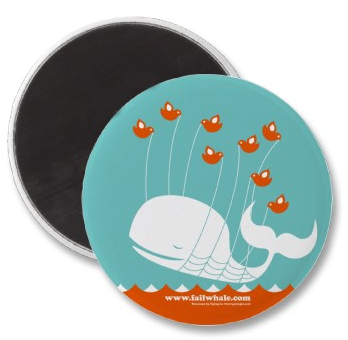 Still looking for some good gifts that won't become clutter? Seen all the advice to give consumables or the gift of experiences/time, but still drawing a blank? Want to give gifts that support your values: green gifts, handmade, locally-made or purchased? Here are some final ideas for this holiday season. 2. 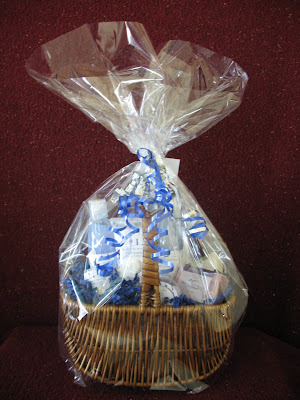 Combine local and consumable and make a local gift basket. 3. 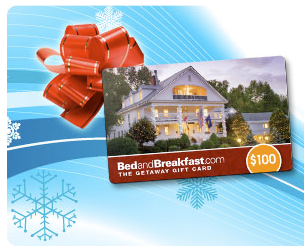 When it comes to experiences, you could give a Bed & Breakfast gift card. 4. For friends who are readers, you might do what I did for one gift this year; pick a good book off your bookshelf and send it along. 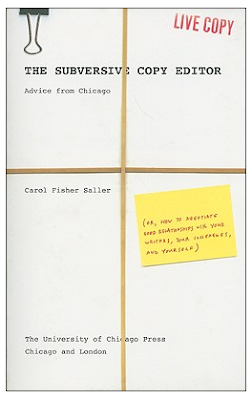 I had a book I enjoyed reading (but didn't feel the need to keep) that I thought a certain friend would also enjoy - so I sent it along for her December birthday. 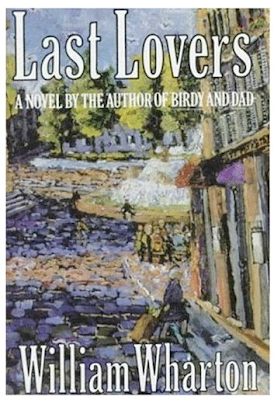 She not only enjoyed the book; she was also intrigued by its history. (It was obviously used; it had an inscription in it, and I added my inscription below.) Now she's plotting who she'll send the book onto next. 5. Give the gift of safety. 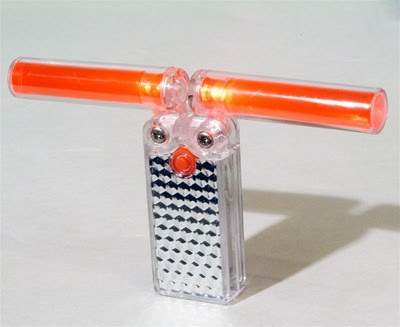 Cool Mom Picks suggests bike lights for kids; Best Stuff suggests the LED-48 Safelite, which can be used by bicyclers, those changing tires, and more. The manuscript does not have to be perfect because perfect isn't possible. There's no Platonic idea for that document, one "correct" way for it to turn out, one perfect version hidden in the block of marble that it's your job to discover by endless chipping away. It simply has to be the best you can make it in the time you're given, free of obvious gaffes, rid of every error you can spot, rendered consistent in every way that the reader needs in order to understand and appreciate, and as close to your chosen style as is practical. While Saller is writing about editing, similar cautions apply to much of what we do - at work and at home. It's easy to set standards that are higher than what is really needed to serve our customers, our friends, our family. In many cases, like the editor, we'd be better off to simply do the best we can within a reasonable amount of time. Update on Oct. 28, 2010: Although this post features 2010 calendars, all of the companies noted have 2011 versions available now; the links have been updated to point to the new calendars. 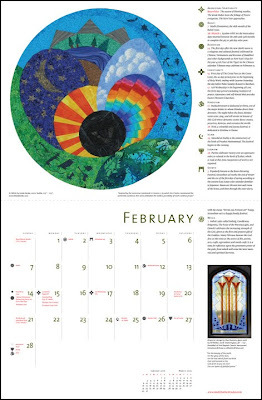 After my last calendar-and-planner post I really thought I was done for the year - until someone on Ask MetaFilter wrote for help finding "a nice wall calendar that displays all the major religious holidays from Animist to Zoroastrian." 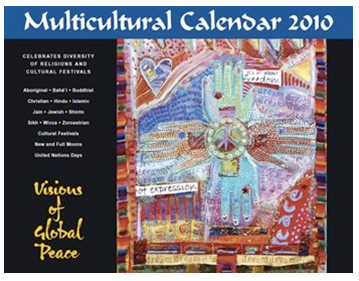 One responder pointed to the Multicultural Calendar from Creative Cultural Communications. I wondered if there were any more options, so I poked around a bit and found the Multifaith Calendar, sold by Interfaith Marketplace. 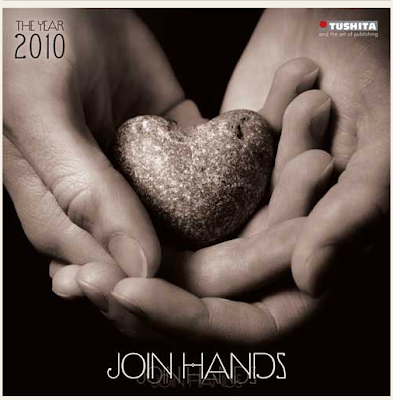 And Tushita says all its calendars include international holidays and holidays of major world religions. Here's one of the company's calendars, sold by Wisdom Books. Stuff I need to review/read/watch. That's the name of a bookmarks folder I had on my computer; some of the items had been there since 2007! I've just cleaned that folder up (and eliminated it entirely) as part of my effort to de-clutter my computer before the year end. It's so easy to accumulate all sorts of digital clutter - and the clutter doesn't cause huge problems. But I noticed the clutter is beginning to make it somewhat harder to find what I want. It makes backups take a bit longer than they should. And the digital clutter also makes me feel a bit weighted down, a bit yucky. Who needs a list of 2-year-old articles hanging around, demanding to be read? - Bookmarks that got added to the wrong folders by mistake. - E-mail messages I'll never refer to again. My goodness, what are those 7,006 messages in my "sent" folder? I bet I don't need most of them. - Photos that got uploaded from my camera - but never got cleaned up to eliminate duplicate shots, never got properly labeled, etc. - Blog posts I've marked in Google Reader to go back and read later - and still haven't looked at. - Old versions of applications - when I know the new version works just fine. I'm not intending to get a perfectly cleaned-up computer; that wouldn't be worth the time and effort. But doing some basic maintenance now will help me be better prepared for everything I want to do (and will need to do) in 2010. 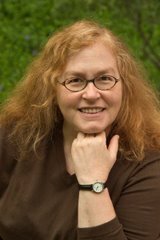 The following is a guest post from reader Loren from Columbus, Ohio. If you wanted to design a special hell just for me, forget about fire and brimstone. Just put me in a room sorting receipts for all of eternity. That’s why I took a chance on NeatReceipts. I’m self-employed, and I need to keep track of everything I spend. The receipts pile up, and around tax time I try to sort them out — after I’ve forgotten what they were for. NeatReceipts helps a lot. The basic package (available for either PC or Mac) includes a USB scanner and software to read and sort the scanned receipts. 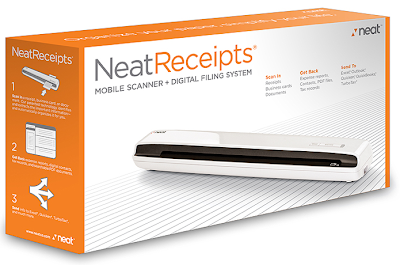 (You can use any scanner, but the NeatReceipts scanner is faster than a flatbed scanner for the average paper tape-sized receipt.) The scanner is small, about 1”x2”x10”. Place a receipt in its slot, and it pulls it through and records the scan in your NeatReceipts database, where it immediately begins OCR (optical character recognition). If the scan is clear, it will read and categorize it. The program saves both the original scan, and the character data. OCR is still an inexact process, and many receipts are faint, or pocket-worn, or have hand-written characters (like an added tip). Still, I’m amazed at how often NeatReceipts gets it right. Occasionally you’ll need to do some editing, especially with a badly crumpled receipt. You’ll also have to select the category in which you’re keeping a particular receipt, since the program has no way of knowing how you’ll want to use the data. (Though it tries: it scans for words like “restaurant.” Or if you place a receipt in a category — a hotel receipt in the travel category, for example — the program will continue to use that category for that business name.) You can also manually split receipts into different categories. The program will also accept digital receipts — a Priceline airline ticket receipted by e-mail, for example. And, you can scan business cards and other documents. The package isn’t perfect. The program could more intuitive: while it has self-sorting “smart collections,” they’re not easy to set up or edit. The miniature scanner sometimes has a hard time grabbing a worn receipt. If the business has used a decorative font or logo, it won’t read the company name. Still, I’d recommend it for people like me, who hate these kinds of detail tasks. Now I come in at the end of the day, immediately scan my receipts, and toss the paper copies. PS: NeatReceipts sometimes runs pretty good promotional sales. Watch for them. Update on Oct. 28, 2010: Although this post features 2010 calendars, some of the companies, organizations and people noted have 2011 versions available now; the links have been updated to point to the new calendars. Still looking for that perfect calendar for the coming year? I have a few more suggestions, starting with this calendar from Men and Cats. Sales benefit PUPP, an organization with the tag line "helping people by helping pets." Update on Oct. 29, 2010: There's no 2011 calendar available at this time; I don't know if one is planned. 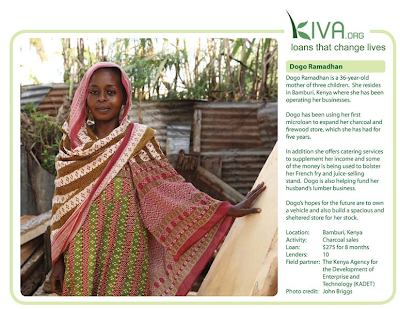 I know many of my readers are fans of Kiva, the organization that helps individuals make micro-loans to low-income entrepreneurs. Now Kiva has a calendar. 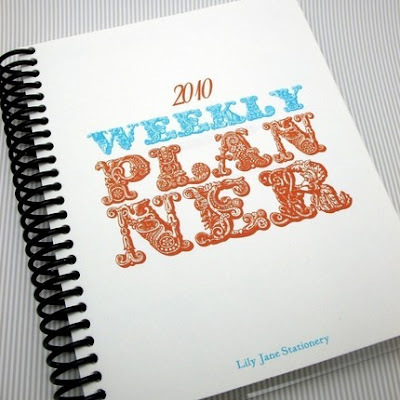 Lily Jane Stationery has a nice weekly planner; 10% of the proceeds go to benefit the March of Dimes. Update on Oct. 29, 2010: There's no 2011 calendar available at this time; I don't know if one is planned. Hoarding is a serious psychological problem that, according to various estimates, affects 0.4% to 5% of the population. Treatment options are limited; you can read about them in Buried in Treasures, and in Overcoming Compulsive Hoarding. Digging Out takes a different tack: It focuses on harm reduction, rather than on overcoming the hoarding behavior. It's aimed at family or friends who want to help a loved one live more safely and comfortably - with an emphasis on safety. People who hoard often resist any attempts to help them, including any treatment. 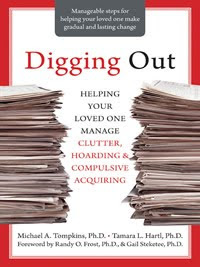 For those who have become totally frustrated in their attempts to work with a loved one with hoarding issues, this very readable book with its step-by-step approach and its focus on the pragmatic might be just the answer. 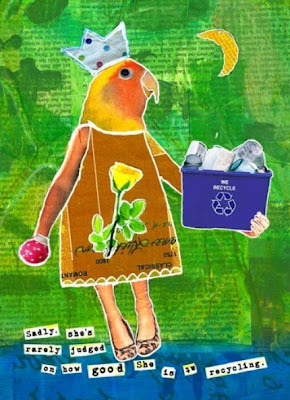 I wanted my mom to get rid of the stuff so that she could live more comfortably in her home. My mom saw it very differently. She wanted to figure out a way to live more comfortably in her home with her stuff. That meant figuring out a way to make more room in her life for more stuff rather than clear out her stuff to make more room for her life. If you're a therapist and focused on treating the hoarding problem, you might point to a possession and ask, "Why do you have this?" Someone focused on harm reduction, on the other hand, might point to a possession and ask, "Why do you have this here?" You know those Secret Santa group gift exchanges, where each person gets the name of one other person, and buys a gift for him or her? And then you get the name of someone you barely know? Or do you know someone who has a collection of "emergency" or "just in case" or "stand-by" gifts stashed away? Is that person you? Both of these situations can lead to the generic-gift problem. If you give a generic gift, how likely is it that the gift will be something the recipient will enjoy? I've looked at some of the standard suggestions for such gifts, and few of the items would be a good gift for me, personally. Candles: I have cats. They jump everywhere. You understand the problem. Picture frames: I just don't use them. Scented soaps: Hit or miss. Your taste in scents and my taste in scents might match, or might not. I've been given soap that I just adore - but the person giving it had heard me comment on how much I liked one she had in her home. Someone who doesn't know me isn't nearly as likely to find a good match. Scarves: Another hit or miss. I've had my colors done, and know which ones work best for me. Do you? Gift cards: Hit or miss again. Do you know I strongly prefer independent bookstores to the big chains? Do you know which coffee shops I like, and which I try to avoid? 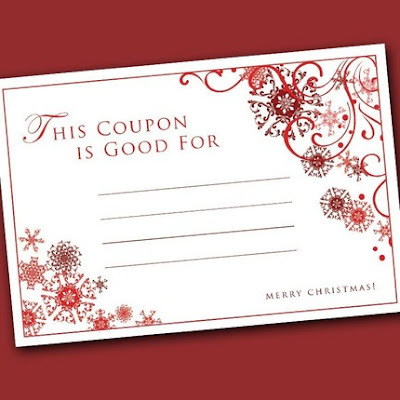 Gift certificate for a massage: Great, assuming it's anywhere within a reasonable distance! But who gives a generic gift that costs that much? Of course I understand and appreciate the generous impulse behind the gift-giving, and will always accept a gift with gratitude, appreciating the thought if not the gift itself. (And I can always find another good home for anything I don't want to keep.) But are there other ways to handle this type of holiday gift-giving? Yes, there are. 1. Instead of a Secret Santa gift exchange, try a white elephant gift exchange - where all participants bring something useless they already own. No one spends any money, everyone declutters a tiny bit - and even if you get a useless item in return, you're no worse off than you were before. 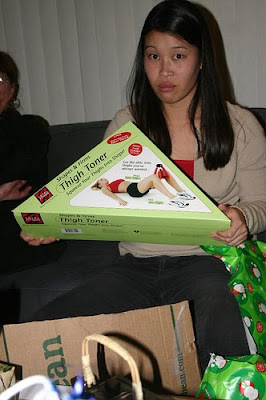 And I've never seen a white elephant gift exchange that didn't get everyone laughing. Another option: Get the group to adopt a family instead of giving gifts among themselves. 2. Decide it's OK for someone to give you a gift, and for you to not give one in return. Perhaps the other person loves to make her special pumpkin bread and give it to everyone she knows. That's great; she's doing what makes the holiday season special for her. Thank her, and enjoy the treat! You don't need to have the same inclinations; your favorite holiday traditions may be totally different. I don't want this post to make me sound like a grumpy Scrooge; I happen to love giving gifts. But for me the joy is in finding something that seems ideal for someone I care about. My best friend and I have a tradition I like; if we happen to find a "perfect gift" we buy it; if not, we don't buy anything. Because we both have plenty of stuff. This might sound like yesterday's post about adopt-an-animal programs, but here we're talking about organizations that send farm animals to African families, and provide other types of support to those in need around the world. Instead of giving friends or family members some more stuff, you give them the gift cards showing what donations have been made in their names. 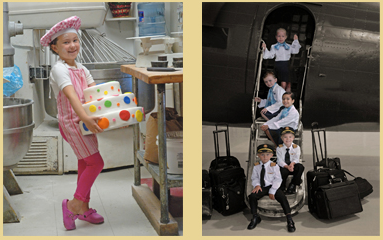 Gifts made through this catalog represent a gift to the entire mission. To help the most number of families move toward self-reliance, Heifer does not use its limited resources to track gift animals from donation to distribution. We use your gifts where they can do the most good by pooling them with the gifts of others to help transform entire communities. Now, that may be just fine with you. Groups like Heifer International fund a lot of good work - and certainly, tracking the individual gifts does take time and money. 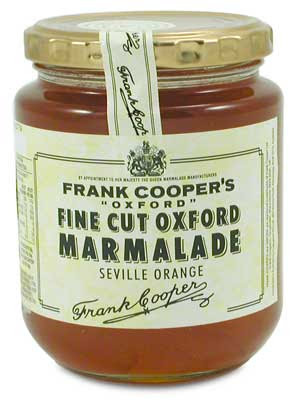 Here at Good Gifts, we do precisely what it says on the tin: your money buys the gift described. It doesn’t get spent on anything other than the specified Good Gift. And because we know the importance of knowing where your money goes, we guarantee it. And the delivering charities guarantee it too. 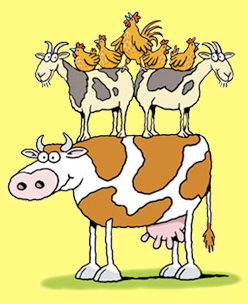 So go ahead and buy the gift of an African farmyard, as pictured above: one cow, two goats, five chickens. Or buy any one of the other items from the wonderfully-illustrated catalog: solar lamps, clean water for a Bangladeshi family, etc. Why not adopt a bat as a Christmas gift? That's a headline from The Herald, writing about Devon Wildlife Trust's adopt-a-species program. Besides the bats, you can also adopt a dolphin, a dormouse, or an otter. Many animal-oriented organizations offer adopt-an-animal programs; I'm going to list just a few, to get you inspired. Please note I have not thoroughly researched the work done by each of these groups; you'll want to take a closer look at any group you decide to "adopt" from. Australia Zoo will be our token representative of the many zoos that offer adoption programs. As you might expect, koalas and kangaroos and Tasmanian devils are among the animals listed. Alternatively, you could support an aquarium - such as the Birch Aquarium - by adopting a fish. 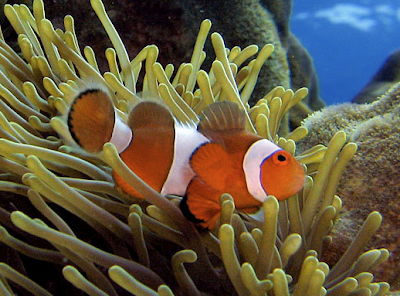 This one is a clown anemonefish. Or you could support an aviary, such as Tracy Aviary, by adopting a bird. Some of the many choice are the golden eagle, scarlet ibis, and bald eagle shown above. Best Friends Animal Society "operates the largest no-kill sanctuary in the country for abandoned, abused and neglected companion animals." 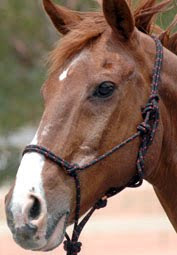 Best Friends Gifts of Life and Love offers sponsorship of a wide range of animals. Or how about this, from the Elizabeth Svendsen Trust for Children and Donkeys? 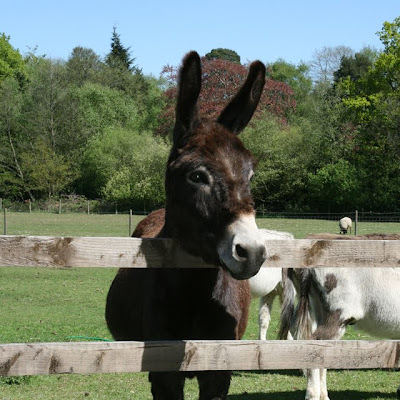 "A donkey-riding centre for children with special needs and disabilities in Sutton Park is launching an appeal for those looking for something a little different this Christmas. The Centre is inviting people to adopt a donkey as a gift for a friend or relative to help support its work." Actually, it's not just one centre offering the adoptions; it's five. 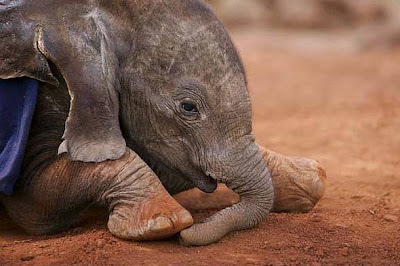 The David Sheldrick Wildlife Trust encourages you to foster an orphaned elephant for Christmas. This one is named Lesanju. 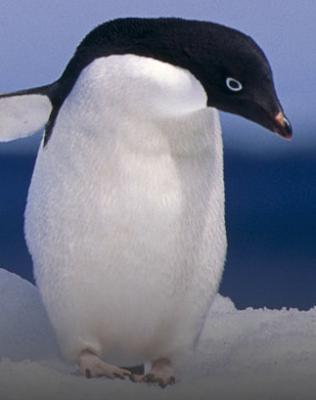 The National Wildlife Federation has 38 different choices of wildlife available for adoption. 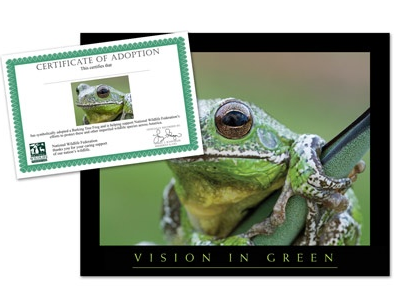 Watch out for what stuff comes with your adoption: a certificate, a poster, or whatever. Some programs even offer stuffed animals. WWF-UK has an adoption form which lets you say "I'd like you to keep the cuddly toy, to make my support go further." Such an option also lets you avoid creating too-many-stuffed-animals clutter. Jon Carroll has a good point; holiday gift-giving can easily go overboard. But there are ways to do meaningful gift-giving, and I'd like to share some ideas about that, over the next series of blog posts. I wrote an extensive gift-giving guide last year, but I've got more to say this year. Want to know where to find a program near you? Sound Money can help. For a thoughtful analysis of adopt-a-family programs, read Sandy Stonesifer's article in Slate. Here's just part of what she writes; it's really worth reading the whole thing. Adopt-a-family programs are a particularly powerful way to get children and families engaged in community outreach, and a great way to show our neighbors that we care. But whether or not you decide to adopt a family this year, remember that people need services year-round — not just during the holidays. For a no-shopping alternative to adopt-a-family programs, you could try the Untied Way - and that's not a typo. 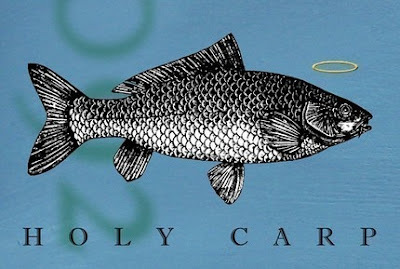 Since I started this post with Jon Carroll, let me end with him; the Untied Way is his idea. Again, I highly recommend the whole column; this is just a short excerpt. Remember this: Where you're sleeping tonight is almost certain to be nicer than the place where they're spending the night. They might spend your money on a secondhand coat or a pair of used shoes; they might spend it on crystal meth. You're not determining their worthiness to receive your sanctified $20; it's merely a moment of connection and a moment of grace. Everyone feels better, at least for a little while.